You found the best way to experience local craft beverages in Delaware! Just choose the one that best suits your schedule by clicking on the events below. PRIVATE TOURS are available the fourth Saturday of the month. If you are interested in scheduling a private tour, please email us at info@firststatebrewtours.com. Enjoy! First State Brew Tours is proud to announce a very unique Craft experience in the lower part of Northern Delaware. This 5.5 hour tour will highlight 2 amazing craft breweries and a craft distillery that is made out of a 1940's movie theatre. Our Lower New Castle County Tour will start at Midnight Oil Brewing Company in Newark and transport you to the Blue Earl Brewery (a treat for all you music lovers) and then finish at Painted Stave Distillery for an amazing experience with distilled products made in a truly unforgettable setting. Please note, This Tour will be an additional $10 to accomodate the time of driving. First State Brew Tours is proud to have a Saturday of True-Brew in Northern Delaware. This 4 hour tour will share 3 of New Castle County's finest breweries with a large variety of beer ranging from a simple lager to a complex layered stout and everything in between. 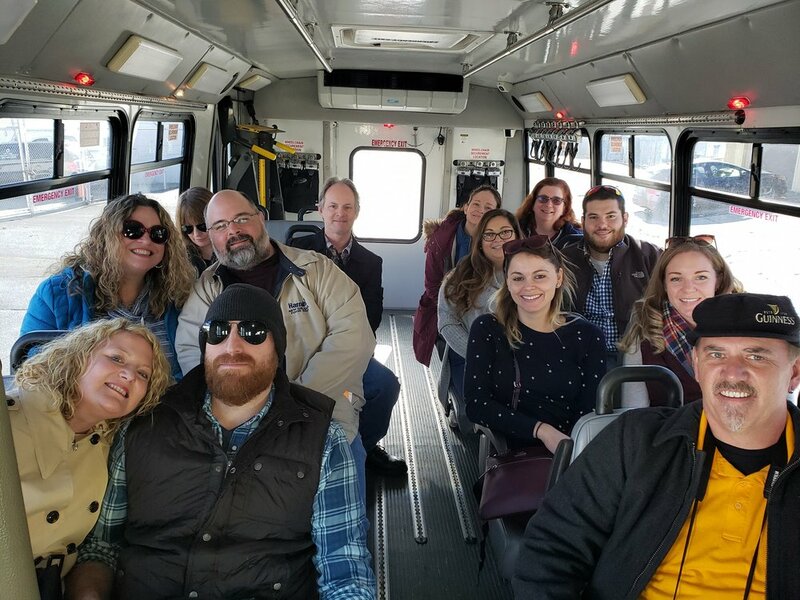 Our Middle New Castle County Tour will start at Argilla Brewing Company (at Pietro's Pizza) off of Kirkwood Highway, and travel to Dew Point Brewery and Twin Lakes Brewery. Discover some of Delaware's best crafted beers while also visiting a unique combination of a family owned pizza shop, a 100+year old historic Mill and one of the areas most iconic breweries. For complete details, please see our tour page. First State Brew Tours is proud to announce our that our first public tour is now available for purchase! Discover the best of local Wilmington breweries, meaderies, and cideries. Our Upper New Castle County Tour starts at Liquid Alchemy Beverages, off of Maryland Avenue just outside Wilmington City limits, which is Delaware's premier mead (honey wine) and hard cider maker, and then you will discover 2 of northern Delaware's best up and coming craft breweries -- Bellefonte Brewing Company and Wilmington Brew Works. For complete details, please see our tour page. First State Brew Tours is proud to announce a very unique Craft experience in the lower part of Northern Delaware. This 4.5 hour tour will highlight 2 amazing craft breweries and a craft distillery that is made out of a 1940's movie theatre. Our Lower New Castle County Tour will start at Midnight Oil Brewing Company in Newark and transport you to the Blue Earl Brewery (a treat for all you music lovers) and then finish at Painted Stave Distillery for an amazing experience with distilled products made in a truly unforgettable setting. Inaugural First State Brew Tour!